We use qemu virtualization with Linux hosts for many years now! It's a great tool! We use it both for Linux VM’s and Windows VM’s! But we have a strange unsolved performance issue with all the VM’s running Windows 10 or Windows Server 2016: Very slow I/O when working (copy, delete) with small (under 100KB) files - Under 1MB/s throughput rate. Throughput with big files is 35 Mb/s maximum, still below what I/O controller is capable of. The problem arises with any Storage formats: raw, qcow. Running Win10 or Win Server 2016 on the same hardware but directly installed...no problems! 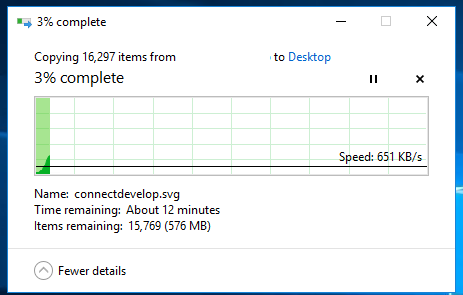 If we try running on the same hosts VM’s with Windows 7 and Windows Server 2012 we have great I/O speeds on the same files, at least 30MB/s throughput! Throughput with big files is at least 60MB/s. Host Centos 7 Machine (CentOS Linux release 7.3.1611 (Core)) : HP ML 380 G8 Server, 192GB Ram, 2 Xeon Processors, SAS Storage. Below the Virsh setup of a VM maybe somebody can spot a problem! 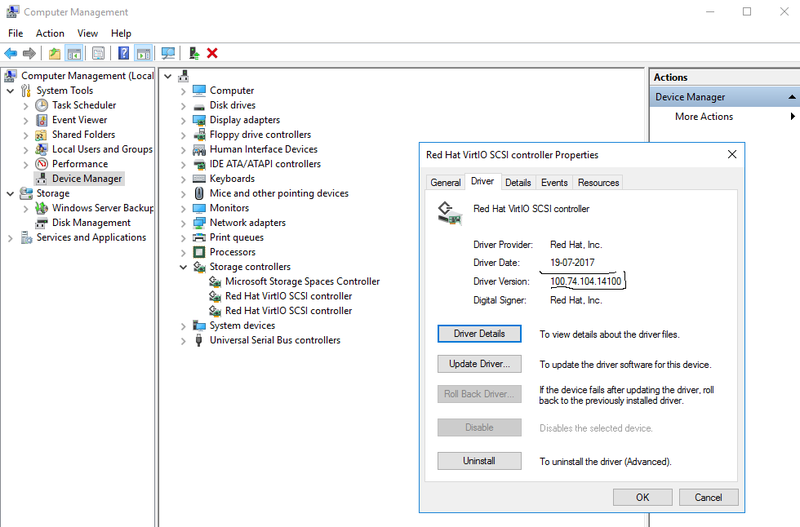 We think it’s a driver issue but we got no clue on where to find virtio drivers that work with the mentioned editions of Windows. Browse other questions tagged centos7 kvm-virtualization windows-server-2016 windows-10 qemu or ask your own question.